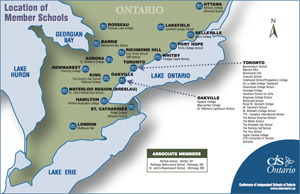 Villanova College is an independent Catholic Augustinian school founded in 1999 in King City, Ontario, serving students in grades four through grade 12. Villanova College is committed to excellence and dedicated to the education of young people, engaging them in their spiritual, intellectual, physical and social development. Our educational program prepares young men and women for university and for life by providing outstanding educational experiences, an engaged and caring faculty, and a variety of extracurricular activities. Villanova College seeks to hire an energetic and creative full-time Director of Advancement and invite applications with the role starting as soon as possible. The position reports to the President of the school and will maximize the organization's fundraising performance to achieve its advancement goals, including the successfull completion of a capital campaign and the incubation and growth of an endowment fund. Adaptable and flexible, the Director of Advancement will focus on growth, constituent engagement, and performance from multiple fundraising streams. The person in this position is responsible for a multi-faceted advancement program that will advance the mission of the school. Identifying support from individuals, corporations, and community engagement, the successful Director will build support through the following methods: endowment growth, planned giving, major giving, annual giving, volunteer management including board members, alumni, and parent relations, and capital campaigns. The Director of Advancement represents Villanova College internally and externally, exercises independent judgement and discretion, and partners with and advises the President on issues related to fundraising and advancement. The Director of Advancement is an entrepreneurial leader willing to pursue new and innovative strategies to reach fundraising and advancement goals while partnering with Admissions, Marketing/Communications, and the Administrative team at Villanova College. The Director of Advancement role includes engaging peers and other key stakeholders to develop a fundraising vision and strategy that is outcome-focused and that produces results. In conjunction with the President, this position acts as a representative and ambassador to raise resources, promote positive relationships, and develop strong resource partnerships for the benefit of the school. The ideal candidate will wear many hats and embrace a hands-on approach to achieving Villanova’s advancement goals. With previous experience managing a small but mighty advancement team, this successful candidate will apply best practices to develop and deepen relationships with the school while successfully setting and reaching fundraising goals. Villanova College offers a competitive salary and full benefits. Interested candidates are invited to apply by submitting a cover letter and resume in one document by email, quoting Director of Advancement in the subject line to Ms. Kristen Figliano, kfigliano@villanovacollege.ca. Resumes should be submitted by 4 p.m. on Monday, April 29, 2019.